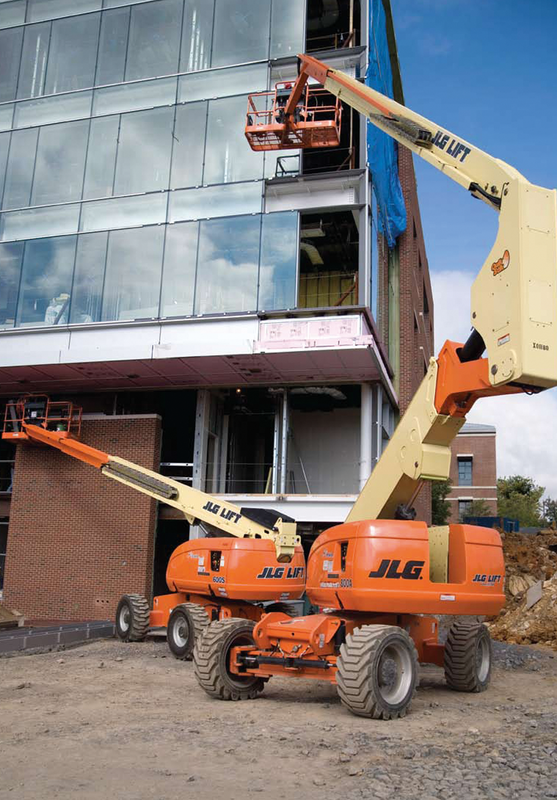 The JLG 800AJ is a articulated diesel boom lift with a maximum working height of 26.20m. 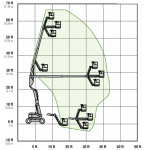 It’s perfect for operators to reach any object due to it’s ability to rotate, making it easy to use for pipe rack installations. 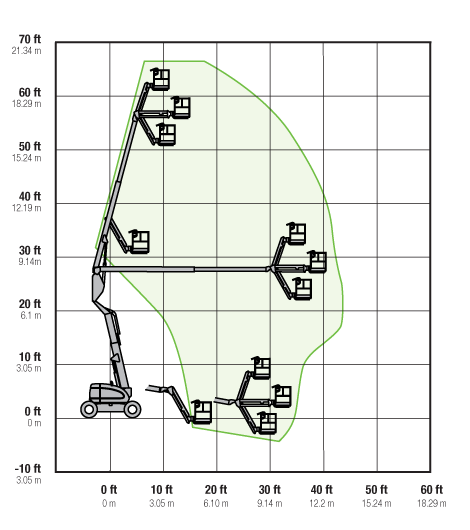 It’s ideal for operators as it has a one handed operation designed to give the operator comfort and control. Industry’s best reach envelope — 32 ft (9.75 m) up and over with 51 ft (15.54 m) horizontal outreach. Swing-out engine tray allows for faster and easier access for routine maintenance. fuel efficiency and reduced emissions. 45% gradeability and oscillating axle for improved traction. World’s largest self-propelled articulating boom lift. Longest outreach — 79 ft 3 in. (24.16 m). Highest platform height — 150 ft (45.72 m). Extendable axles for improved stability.